A couple of weeks ago, I posted about Jackson’s upcoming surgery. Jackson’s mama has indicated that he has major sensory issues. They have some items to help with the sensory stuff, but feel that a weighted blanket would be of benefit while he is in the hospital next month recovering from surgery. How can you help? 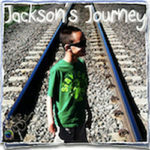 We would like to see if we can get one of the vendors to donate a blanket to Jackson. There is a company in Minnesota that makes blankets. They are also working to get a grant for their company. In order to qualify for the grant, they need 250 votes. If we can get the votes for them, maybe we can get a free or reduced price blanket for Jackson. Either way, this company deserves a chance at the grant, in order that they can continue to make these blankets for our kids. To check out Cozy Calm, go to http://www.cozycalm.com. Scroll down to where it says business name. Enter “Cozy Calm”. Then after you vote, share it on your twitter pages, and in your facebook posts. I don’t represent either Jackson’s family or Cozy Calm, I am just trying to make some pieces come together to help people out. This is what the Special Needs Community does for each other. 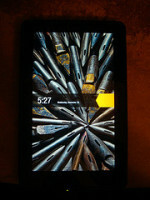 Feel free to reblog this post on triberr, or copy and past it to your own blog. Let’s get out the vote for Jackson and Cozy Calm. Cozy Calm is sponsoring a giveaway. Go here to enter the giveaway. She only has one entry as of July 22, 2012 so let’s help her out with some traffic.